New England artist Jeff Henderson and his small team of craftspeople all work in harmony with nature creating our unique line of functional art made from natural ocean and river stones. We love showing off the beauty of nature by creating products which allow you to bring a little bit of that energy indoors, in a unique form of functional artwork. If you purchase 4 or more Beverage Dispensers, you will recieve FREE SHIPPING on this portion of your order. Buy 12 of any one item, get the 13th free! 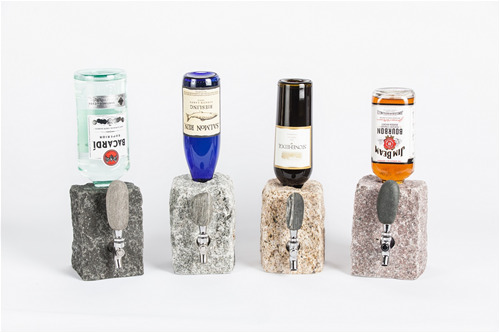 Our Stone Beverage dispenser is handcrafted in Maine with locally sourced rocks. The valve comes in 2 durable metal finishes, Chrome Plated Brass and a higher end Stainless Steel version . 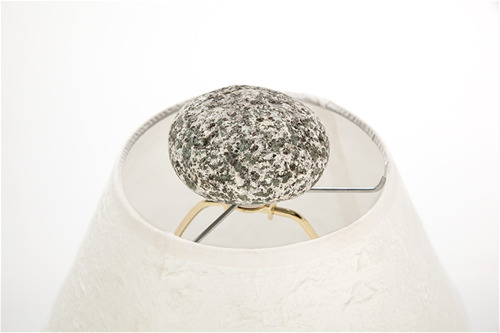 Handcrafted from beach stones locally sourced, our "Rock Dock " is a handy tool for the office or home. Dock your phone on your desk at work for easy access to Face Time or playing music . 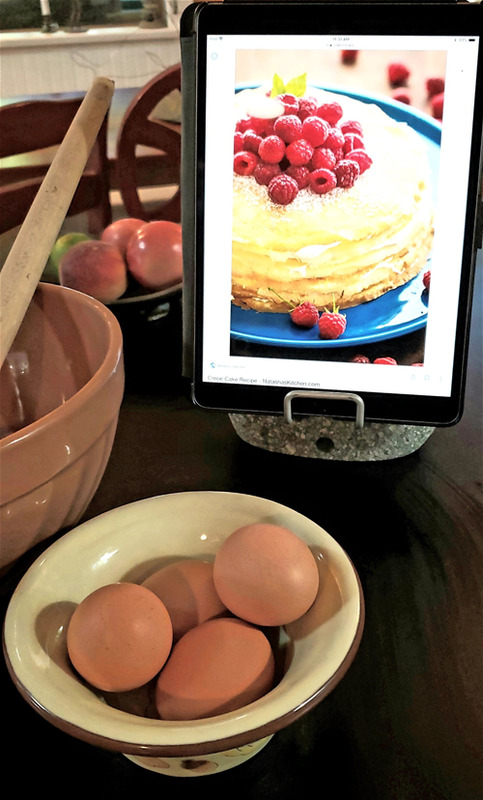 Dock your Tablet on your kitchen counter to follow along with a recipe. 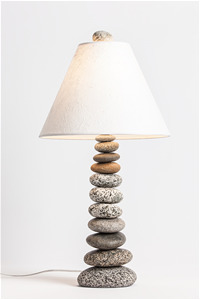 Each of our handcrafted Coastal Cottage lamps are a unique blend of one a kind beach stones carefully stacked to create a 24" -26" accent lamp for your home or office. Coastal Cottage lamps come with a handmade paper shade and unique beach stone finial to top it off. 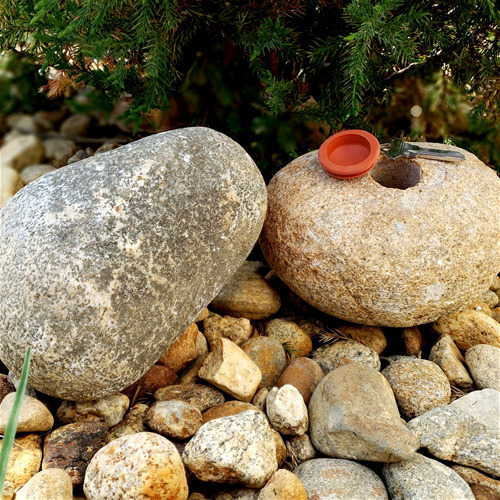 Our real rock key hider blends into any landscape , whether its grass, shrubbery or a stone wall. Never get locked out again! 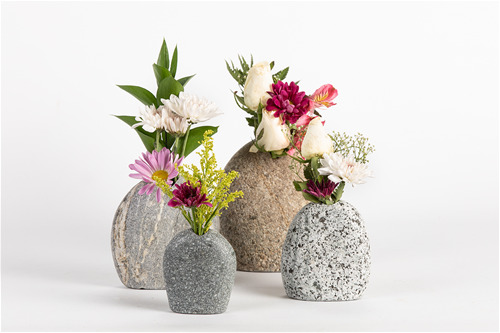 Each of our Handcrafted Stone vases is unique unto itself, no two rocks are the same . The size ranges from a Little Vase with a 5/8"hole to a Large Vase with a 1-1/4 " hole.